Hi! I'm here today with a very CAS Christmas card. The Memory Box Loopy Loop Wreath in silver foil (cut from the backside of any of the SB Precious Metals Craft Foil) was just too pretty to cover up. So I opted to really highlight it by making a square card with a thin red matting around the silver wreath. I then added several flowers made using PoppyStamps Small Blooming Poinsettia dies, with the edges sponged with Seedless Preserves and the center filled with Champagne Stickles. I also added a few leaves from Memory Box Fresh Foliage where the edges were sponged with Distress Ink Pine Needles. Finally, I added a spattering of baby pearls. 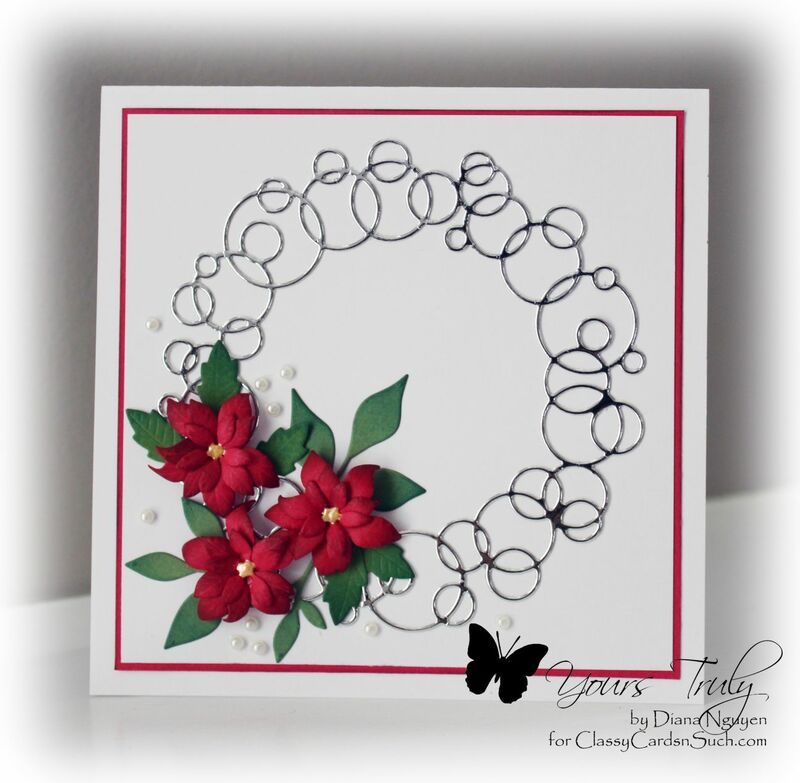 A very quick card if you make a bunch of the poinsettias beforehand - they are so easy to use for Christmas! Simply elegant. Will definitely CASE this card for our group's Christmas charity project. Many thanks for yet another lovely design!